Yes, I made that up. I find it fun 🙂 It’s a raw Alfredo Sauce. 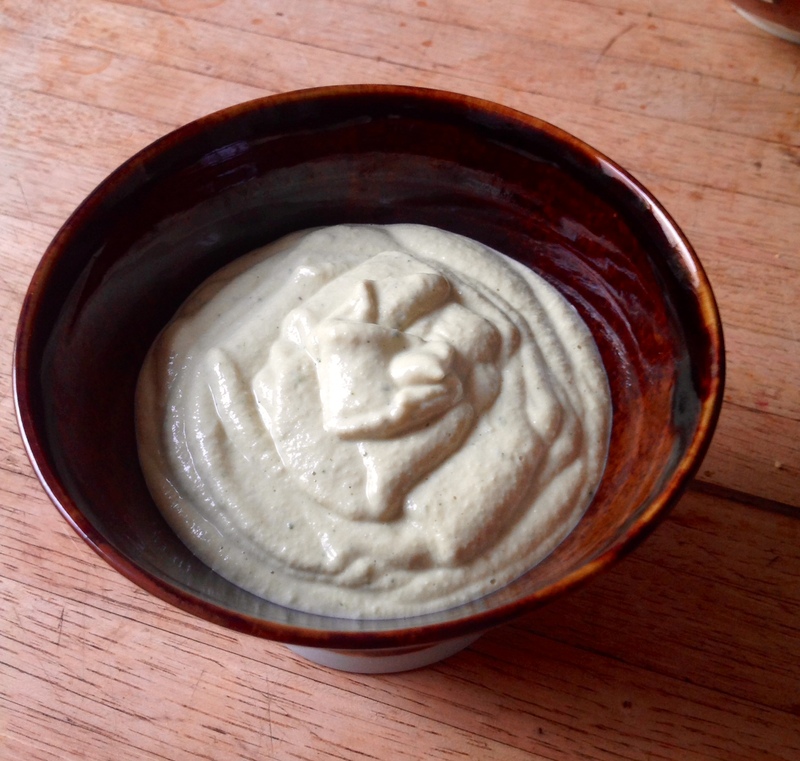 Because I love creamy delicious sauces but my health cannot afford to indulge in them often, I have created my own. It tastes amazing on zucchini pasta, as a dip or pretty much anything you would normally use a creamy alfredo sauce on. I love coming up with recipes like this because as a french woman, butter and cream are part of my heritage. I do not want to give them up. Nor do I want to give up feeling amazing. So I can eat this kind of sauce anytime I want, and feel like I am staying true to my roots, and indulge in the real stuff on occasion. Put everything in the blender and blend on high. Adjust water according to desired consistency. This one came out pretty thick, which I really like.